Sansui launches Horizon 1 with selfie flash, VoLTE support for Rs. 3,999 - AndroGuider | One Stop For The Techy You! 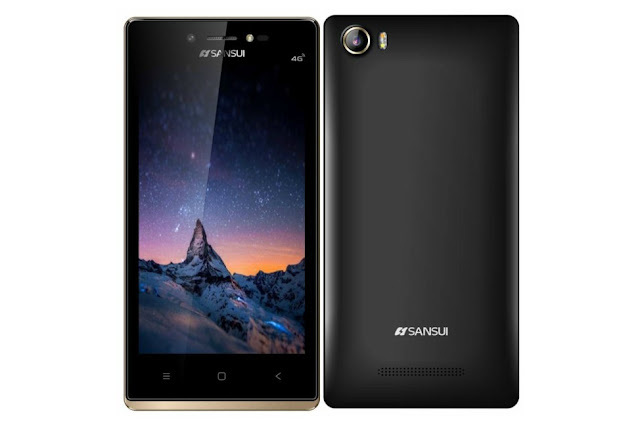 Japan based Sansui popularly known for their TVs, but a lesser-known brand in the smartphone market, is launching a new handset in India. Called Horizon 1, it is Sansui's compact-sized entry-level offering with dual-SIM slots, 4G & VoLTE support, and runs Android Marshmallow. It has an affordable price tag, but the specs are mediocre. The Sansui Horizon 1 features 4.5-inch FWVGA IPS display and is powered by 1.3GHz quad-core Spreadtrum SC9832 processor with 1GB RAM and 8GB internal storage, which can be increased via microSD card. It comes with 5MP rear camera with dual-LED flash, and 5MP front camera assisted by LED flash, to help you snap better selfies in low light environments. The phone is fueled by 2000mAh battery, and comes with the usual connectivity suite like WiFi, Bluetooth and GPS. It also includes a Panic Button to instantly connect to helpline numbers in emergency situation. The Sansui Horizon 1 will be available exclusively available through Flipkart for Rs. 3,999 in Black/White and Black/Golden hues.